According to Michael Lombardi, lead contributor to Profit Confidential, Asian central banks have the money, but they don’t have enough gold bullion in their reserves. Lombardi believes this is set to change, which means the demand for gold bullion will continue to be very strong for years to come. 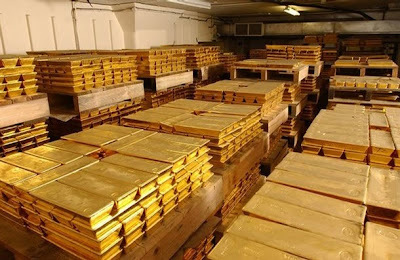 In the article “He Who Has Money, Buys Gold,” Lombardi explains that Asian central banks have been identified as large buyers of the most recent gold bullion holdings. “If they want to achieve the level of reserves that the West has, they are going to have to continue to increase their buying of gold bullion dramatically,” says Lombardi. According to Lombardi, the central banks of Asia are selling European bond holdings to buy gold bullion. The Profit Confidential lead contributor also notes that South Korea has not mentioned anything about its one-percent holding of gold bullion, but that one percent has been accumulated since May 2009. “The South Korean central bank has recently made more purchases of gold bullion, which seems to indicate South Korea could continue adding to its foreign reserves,” says Lombardi. Lombardi notes that while Asia has the money through its foreign reserves, the West has the gold bullion.